Spectacular Price, Stunning Value! Breathtaking unobstructed view of the Water, Boats, Mtns, City and Fountains, A Rare 3 bdrm, 2 bath 6th flr Suite in a concrete luxury blding. 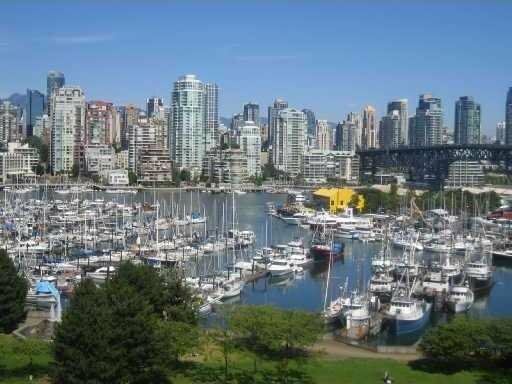 Located on the Waterfront at Fisherman's Wharf, directly on the Sea Wall close to the entrance of Granville Isld. 1430 sqft! This is the Heart of False Creek. Newly redesigned this suite boasts a new custom designed kitchen, S/S appliances and Caesar Stone espresso quartz counters as well as brand new broad plank bleached oak hardwood flrs throughout. Rlx in front of your gas fireplace and enjoy this rare world class vista while overlooking the fountains, private garden, indoor pool.